It is still time to register for the latest edition of Mejorando.la Conference, which will take place in Mexico City on February 24th and 25th. As you may remember, Mejorando.la is one of our favorite Latin American podcasts. Co-hosted by Freddy Vega and Christian van der Henst, it focuses on spreading the word about new technologies among Spanish speakers. Besides the podcast, it is also the name of the conference that the online tech communities Maestros del Web, Cristalab and DesarolloWeb have partnered to organize over the last months across Latin America, from Chile to Mexico. According to its organizers, 500 persons have already signed up to attend the Mexican edition of Mejorando.la conference. Besides physical attendance, the event will also be available as a live stream, for which 50,000 people have already registered. The conference’s main theme will be the future of web design, with twelve keynotes focusing on topics such as ‘Microsoft’s HTML5 revolution’ and ‘Programming for artists’. While most conferences will be in Spanish, the line-up also features one American guest, David Kadavy. 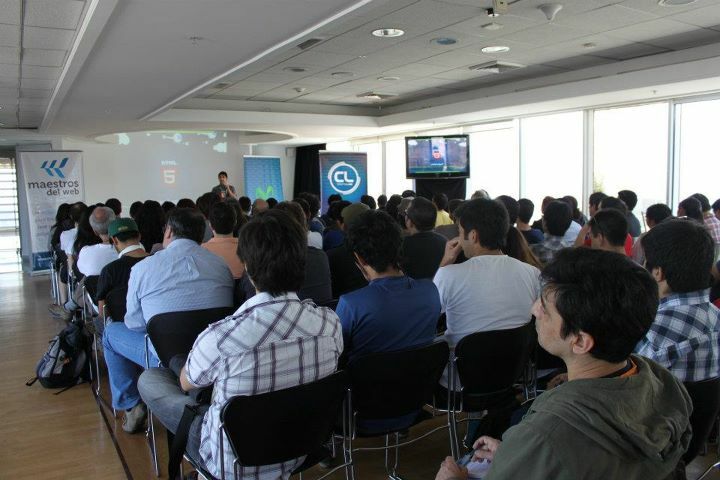 The author of Design for Hackers, he was also a speaker during the latest edition of the Chilean conference Webprendedor. While panels are the conference’s main activity, it will also feature sessions in which Latin American entrepreneurs and designers such as Nuflick‘s founder Celeste North will share their personal experience with the audience. We are giving away five passes to attend the conference, click here to try your chance on Facebook.